You use your bathroom every day and it’s a room that typically plays an important role in your house value. DaBella bathroom remodeling contractors provide homeowners with premium, American-made products from BathWraps. We offer a wide selection of products that include many safety features that can accommodate your loved ones that may need a bit more assistance with bathing. With a wide selection of bathroom conversion products, DaBella is the leader in remodeling the wet area of your bathroom in Spokane, Washington. 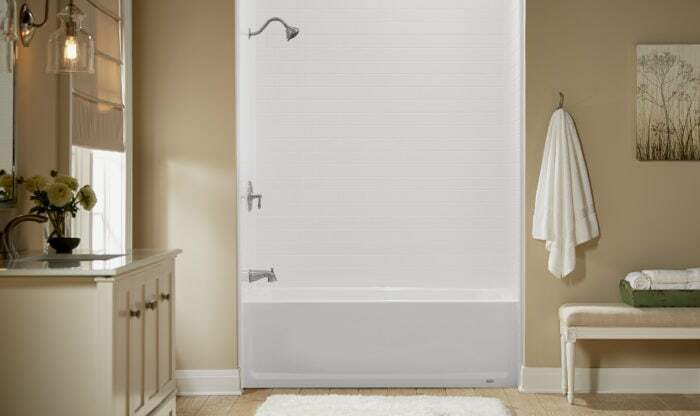 Keeping your bathtub and/or shower can be a breeze with DaBella bathing product. With our non-porous acrylic product, all you will have to do is spray it with an approved household cleaning product and wipe it off. You’ll spend more time relaxing instead of cleaning because of the silver ions infused into the system. Jeremy has been with DaBella since 2015 and in the home improvement industry for over 15 years. As the General Manager of the Spokane, Washington branch, he loves seeing homeowners smile after they see the transformation to their house. When Jeremy isn’t in the office, you’ll find him wake surfing or either skiing/snowboarding. Something that not many know about Jeremy is that he won third place in Masters Flowriding, an indoor surf wave contest.